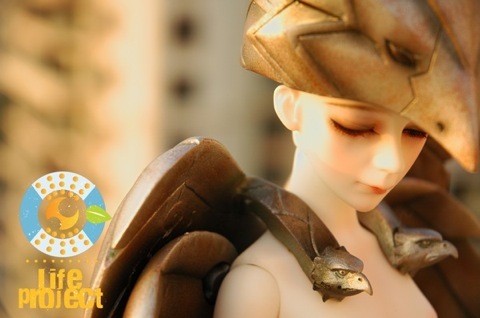 Domuya has released the newest doll in their Life Project series; The Sky Guardian Sera. The 44 cm tall doll is the third release of the series. The Sky Guardian is cast in snow white skin resin with full body blushing. Sera comes with both a regular and a special magnetic Eagle-Helm Headcap, gas mask, moveable detachable wings, and magnetic claws. Sera has also been added to the life project website. His page is HERE. Sera is available for pre-order until November 15. The doll can be purchased through the company or through authorized dealers The Doll Peddler, Lone Star Dolls. Article on Paula Osbun, who is the owner of a new brick and mortar store, Suki Yume in the Tremont section of Cleveland, Ohio. To read the article, go HERE. 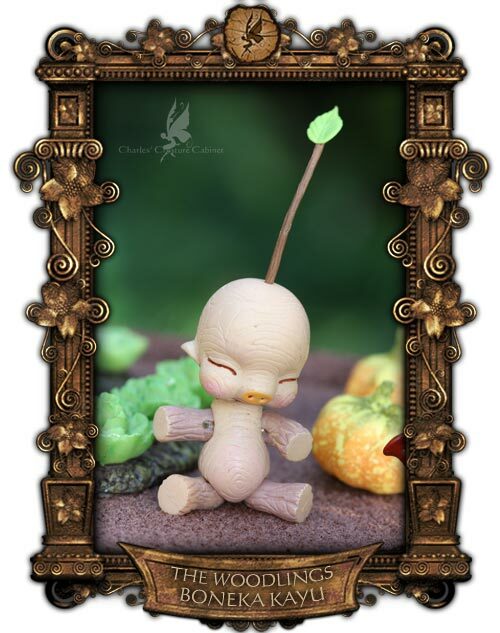 The newest Monthly Doll for November, Vesuvia Poison Kiss, has been released by Soom. She comes in a shade of resin described as ‘pearl violet’. Soom has released a name and a teaser image for their new Monthly Doll. 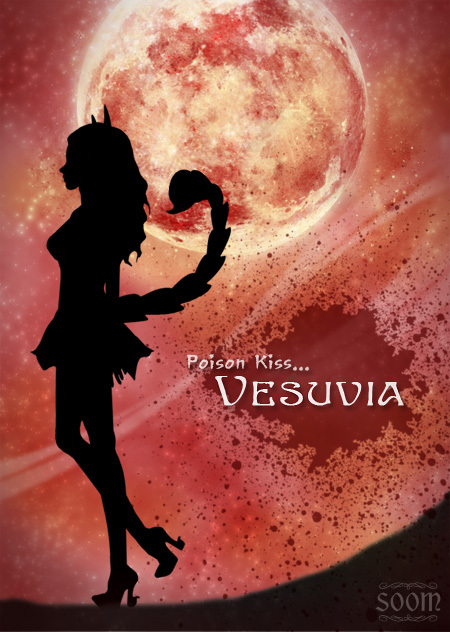 The new doll is named Poison Kiss Vesuvia. More information will be added soon. The new Limited Soom Monthly doll, Euclase-The Last Judgement is now available. More pictures of the gray resin doll have also been added to the site. 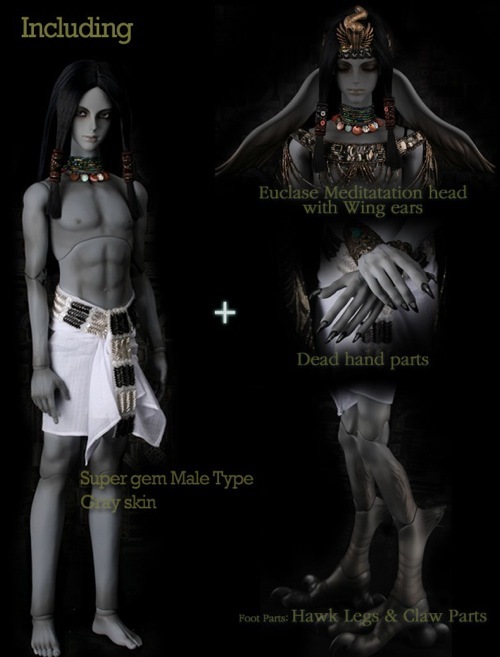 The doll comes with two different heads; Euclase and M. Euclase with wings. He also comes with special clawed feet in addition to regular feet, and ‘dead hand parts’. Clothing, eyes, face-ups, wig, and body blushing are all options. The Woodlings, original character dolls from Dutch doll artist Charles Stephan, have been released. They are limited fullsets. Yoshi is 11 cm. tall and comes with eyes, and outfit. Boneka Kayu is 5 cm. tall and comes with antler twig head piece. The dolls come packaged in special wooden boxes. Both are fully colored by the artist. There will only be 75 each of these 2 dolls. For more information, go to the website. There are Feeple Breakaway dolls available again on the Fairy Land Site. Both of the limited outfits, Midnight Sun and Midnight Blue are available. 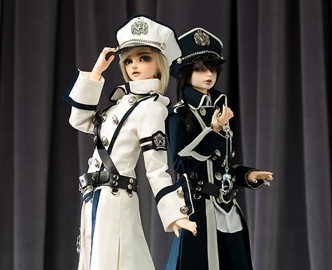 Stock is very limited, so anyone interested in purchasing these dolls should do so soon. 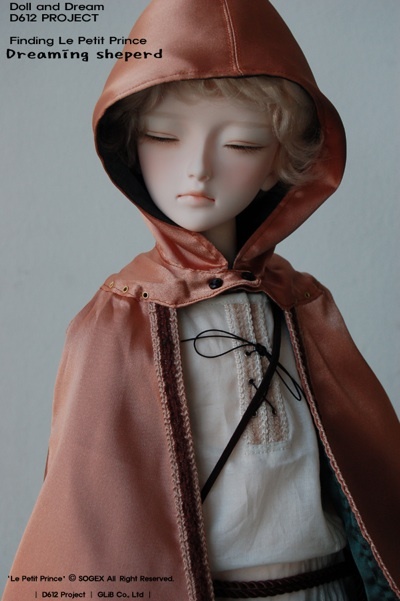 MuDoll has released a limited of their Little Prince doll called ‘Dreaming Shepherd’. The 61 cm. doll comes with faceup and outfit. More information can be found on the MuDoll site HERE. Jaime Doll’s special lines of Tanned skin Adonis doll (15cm.) punk look babies and Rosebay (26cm.) vampire dolls will be available only until the 8th of October. They will be discontinued after that date.